LONDON – In a skeleton more than 6,200 years old, scientists have found the earliest known evidence of infection with a parasitic worm that now afflicts more than 200 million people worldwide. 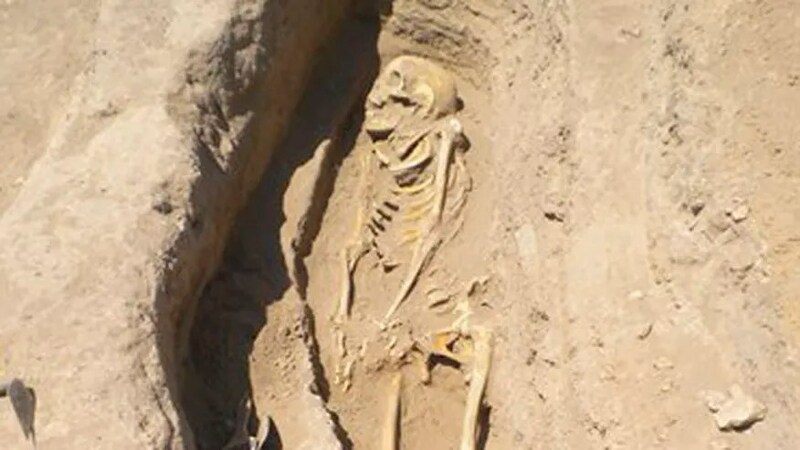 Archaeologists discovered a parasite egg near the pelvis of a child skeleton in northern Syria and say it dates back to a time when ancient societies first used irrigation systems to grow crops. Scientists suspect the new farming technique meant people were spending a lot of time wading in warm water — ideal conditions for the parasites to jump into humans. That may have triggered outbreaks of the water-borne flatworm disease known as schistosomiasis. “The invention of irrigation was a major technological breakthrough (but) it had unintended consequences,” said Gil Stein, a professor of Near Eastern archaeology at the University of Chicago, one of the report’s authors. “A more reliable food supply came at the cost of more disease,” he wrote in an email. People can catch the flatworm parasite when they are in warm fresh water; the tiny worms are carried by snails and can burrow into human skin. After growing into adult worms, they live in the bladder, kidneys, intestines and elsewhere in the body for years. The parasites can cause symptoms including a fever, rash, abdominal pain, vomiting and paralysis of the legs. These days, the disease can be easily treated with drugs to kill the worms. Stein said there was evidence of wheat and barley farming in the town where the skeletons were found and that irrigation might have also spurred outbreaks of other diseases like malaria by creating pools of stagnant water for mosquitoes to breed. Piers Mitchell, another study author, said ancient farming societies could have inadvertently launched the global transmission of the flatworm parasites, which sicken millions of people every year. He said modern irrigation systems are still spreading diseases in developing countries. “In many parts of Africa, someone clever decides to put in a dam or an artificial water source and then 10 years later, everyone’s getting schistosomiasis,”Mitchell said. The research was published online Thursday in the journal Lancet Infectious Diseases. Other experts agreed it was likely that irrigation spread parasitic diseases beginning in ancient times.